Hammer reintroduced the Vibe line of bowling balls with the Blue Vibe and the Cherry Vibe. Now they are reintroducing the Onyx Vibe! The Onyx takes the midlane traction of the Blue Vibe and pairs it with the backend flip of the Cherry Vibe giving this ball length with a strong backend. This is achieved by pairing the Vibe core with the CT Reactive Max coverstock and finishing it with 500 then 2000 grit Abralon pad and polishing it with Powerhouse Factory Finish Polish. This bowling ball is Carbon Fiber Infused! Carbon fiber is one of the toughest materials on earth. Hammer decided to add this material to the inner core of this ball for added strength and durability allowing them to offer an incredible 3 year warranty. Similar Balls: Same Hook Potential, Lane Conditions & Coverstock as the Hammer Onyx Vibe. So excited when Hammer announced the return of the Onyx Vibe. I had missed the original release and was disappointed since I've had much success with the Vibe line. Well needless the say this one hasn't disappointed yet. I've been using this release as my benchmark ball especially when bowling on house patterns. With being rev dominant and slower speed (14-15mph) this ball allows me to read the midlane where needed and store energy to the back part of the lane. This ball also compliments my Ebonite GB2 when I need to read the midlane sooner but control the backend. So go to your pro shop today and drill up this latest Vibe release by Hammer ... you won't be disappointed! 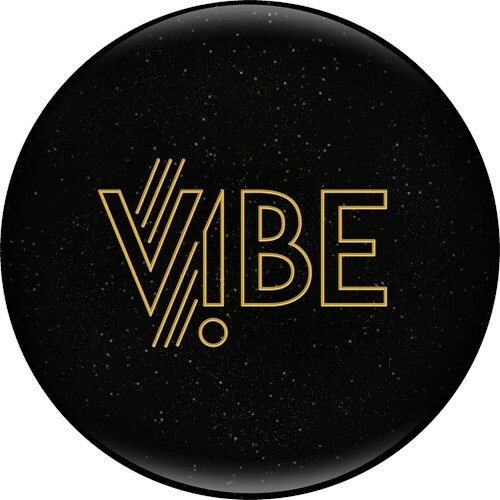 Onxy Vibe is one of the most versital ball for any brand that I have thrown in a while . I have tested this ball on all patterns . It is so easy to get lined up with ball strong predictable motion. This is a must in everyones arsenal. I let this ball box finish and have not altered surface. Here is my take on the new Hammer Onyx Vibe. The new Onyx Vibe features the ever versatile Vibe "hourglass" shaped core wrapped about a black sparkle CT Reactive Max coverstock. Like all Hammers, the Onyx Vibe features an industry leading 3 year warranty in its Carbon Fiber manufacturing process. The ball comes with a 2000 Abralon polished surface. My "vitals" are a 405 rev rate with a PAP of 5 9/16 over and 1/8 up. I drilled an Onyx with a 50x5x40 layout. I am drilling my equipment currently without weight holes in conformity with the new rules that go into effect on August 1, 2018. I have used this ball at factory finish, 2000 Abralon and 1000 Abralon surfaces. I have tried the new Onyx Vibe on THS, Roth Sport and Shark Sport. At the outset, it is clear that each of the current Vibes as its own unique motion. The Cherry is definitely the most angular. In my opinion, the Blue is good on a variety of patterns as it is strong yet controllable. The Onyx shows similar control as we see in the Blue but I think with the ability to go a little more left to right. Even without a weight hole, I can play straighter on the longer Roth and Shark patterns to start but I am also able to go a little more left to right with the Onyx as the first transition occurs. I would describe the motion on the Onyx as a very strong, defined hook. The stated purpose by Hammer that the Onyx offers the recovery of the Cherry with the length of the Blue does seem to be accurate. Like with the any Vibe, because of the versatility of the core, many shapes cane be drilled into the ball and should suit a number of styles. I can see this ball in play on a number of different patterns depending on ball speed. I believe that the Onyx can handle a variety of pattern volumes given the cover strength except the very high volumes at which one you would look for a stronger core/cover combination. See your local proshop for more information about the new Onyx Vibe! My OG Onyx Vibe was pin under the ring and kicked CG. It was a beast. When the Blue Vibe came out last year, I threw the same layout on it as my Onyx Vibe had on it. Since the covers were basically the same, it rolls just as great as the OG Onyx did. Fast forward to this month and my new Onyx Vibe is on the drill press - I didn't want the same layout as before because I already had that. So this time i decided to go pin above ring finger and stack the cg right below it. What I got was a ball that went longer than the Blue Vibe BUT still had that strong amazing back end reaction that gave me a huge area down lane to hit. This ball is great for anyone who needs something in the bag for later in the set OR that new bowler who wants to get the most amount of direction change or hook for a great price! Hey Y'all..... Stefanie Johnson here. I have to say out of the VIBE series, this one is my favorite. I have primarily used it on lighter to medium patterns when I like to play the lanes straighter. Certainly allows me to keep my angles closed yet still finish through the pins. Great addition to your arsenal if you are looking for something like that! In the process of purchasing another one. We drilled this with dual angle layout of 60 X 4.5 X 75. For me this gives me great length with a strong skid flip motion if playing left of the track. The ball also allows me to get on top or right of the track and make a smooth transition of the spot to the pocket. This is a must have ball from Hammer bowling. From beginner to advanced tournament player this ball has what you need to round out your arsenal. If you were a fan of the Original Onyx Vibe, this will not disappoint!!! Very similar reaction to the original. When you need to move in to the center of the lane and give the ball some room, it will always make it back with unbelievable energy through the pins. When the lane transitions, this will be a must have in the bag... Go get yourself one... The name speaks for itself!!! This ball has quickly found a special place in my heart. This ball is smooth yet transfers a great amount of energy to the pins. I use mine during transition or later in blocks, but this ball is something special and will compliment anyone on anything you bowl on. You don't miss this the 2nd time around! The new Onyx vibe for me is a little different than the original. This ball is a little longer down the lane but very controllable. The Vibe line is one of the best values on the market, gives you great performance at a lower price point. This is one that a little less money does not sacrifice any performance. Yes, this is an excellent ball! 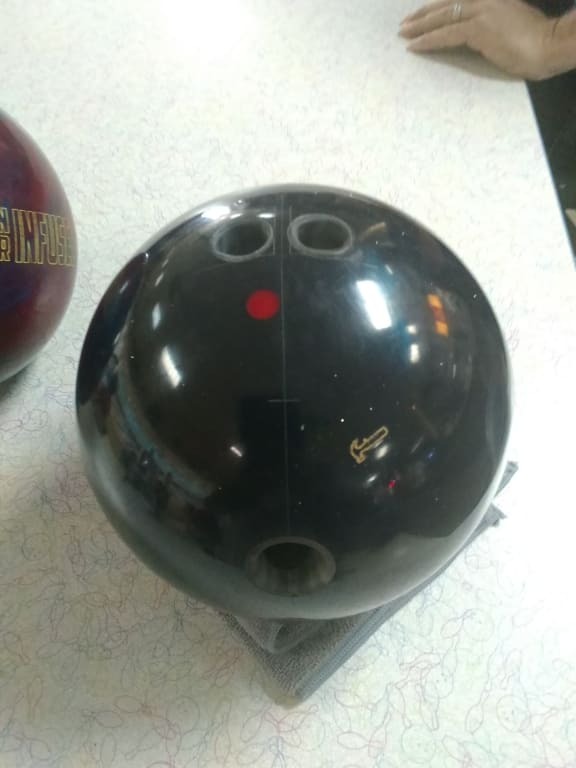 Would this be a good ball to use as a spare ball as well or will it move too much? Currently using btu fanatic. 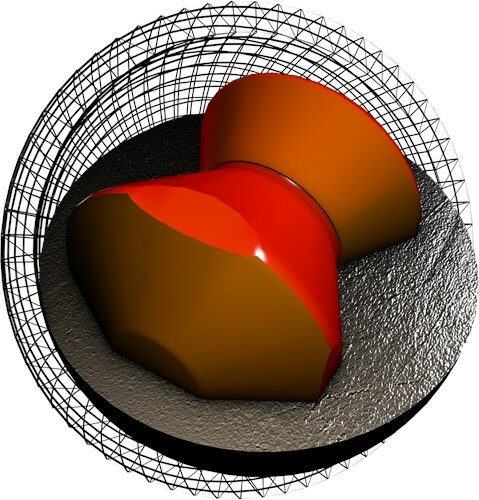 Would the 13# ball have the same core as the heavier ball? The 13 pound ball will have a generic core. How does this ball compare to the Blue Vibe? The Onyx Vibe will be more aggressive for it is a Mid performance ball and the Blue Vibe is an entry level ball. I like to go down and in playing around 8 board with soft speed. Would this ball fit my style? Shipping is free for the lower 48 states of the US. We do have a packaging fee of $5.95 to help offset the costs warehouse materials and expenses. The packaging fee is a one time fee per order not per item. Due to the time it takes to produce the Hammer Onyx Vibe ball it will ship in immediately. We cannot ship this ball outside the United States.